Our goal is to connect people with the best local experts. 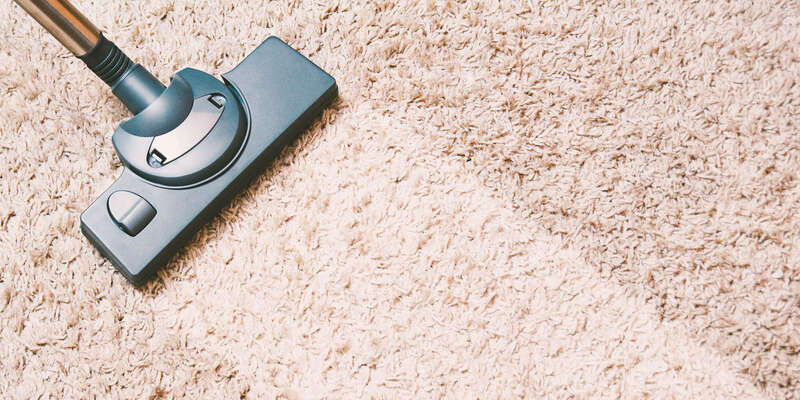 We scored carpet cleaners on more than 25 variables across five categories, and analysed the results to give you a hand-picked list of the best carpet cleaners in New Orleans, LA. Bravo! Cleaning serves residential and business clients in New Orleans and the surrounding areas with quality upholstery, carpet, and tile cleaning at affordable prices. The owners are New Orleans natives who are familiar with the cleaning needs of the area and are committed to providing prompt, high-quality service. Their professionals use methods, equipment, and products which are safe for children and pets. Bravo’s certified technician inspects the area to be cleaned, explains the cleaning process, moves furniture, pre-treats heavily soiled areas, cleans and deodorizes them, and puts protective pads under replaced furniture. He also uses fans to speed up drying time and does a walk through with the client to assure 100% satisfaction. Additional services include natural stone cleaning and end of lease or end of tenancy cleaning. Brooms N Buckets, LLC began in 2014 to provide New Orleans and the surrounding communities with top-notch cleaning services. Brooms N Buckets, LLC focuses on a holistic approach to cleaning. The company believes that cleaning a customer's home can improve the quality of their life, mentally and physically. Brooms N Buckets cleans offices and provides an array of residential services, such as maintenance cleans, move in/move out cleans, initial deep cleans, pressure washing, painting, and duct cleaning. Brooms N Buckets, LLC promises relentlessness and thoroughness in all its work. Its motto is, "We don't cut corners, we clean 'em." D&G Carpet Cleaning New Orleans is a family-owned cleaning and restoration services provider. They believe that clean and safe homes should be available to all and pride themselves on guaranteeing competitive rates. They use only products that are pet, children, and environmentally friendly and promise quick carpet dry times. Complete customer satisfaction is their top priority and they aim to deliver consistently superior results on every job. D&G Carpet Cleaning is a proud member of the Pro-Cleaners Network, and all technicians receive thorough and ongoing training and education. Services offered by D&G Carpet Cleaning include carpet and rug cleaning, upholstery cleaning, tile and grout cleaning, pet stain and odor removal, carpet and furniture protector application, house cleaning, and water damage repair. EKO Carpet and Rug Cleaning Metairie operates in the town of Metairie with service to Kenner, New Orleans, Gretna, Algiers, Marrero, and Westwego. They provide professional and friendly technicians who have experience with carpet cleaning, rug cleaning, upholstery cleaning, tile and grout cleaning, commercial cleaning, pet odor and urine removal, as well as carpet and furniture protection. They also provide water damage restoration, with a 24/7 emergency service that will usually arrive within an hour to help their customers with their immediate needs. Their cleaning methods are environmentally friendly, and they never cut corners just to save some time. They respect their customers time as well, providing flexible appointments the entire week. Their clients like their promptness and reasonable prices, as well as the polite and professional crews provided. Magic One Services has been treating client carpets and rugs with the utmost care and professionalism for nearly 20 years. The Harvey-area specialists provide a one-stop shop for all household and commercial cleaning solutions that meet a range of individual needs and budgets. Magic One Services features a well-trained staff dedicated to outstanding carpet cleaning results on jobs of all sizes. Domestic, industrial, and corporate customers can rely on the professionals to maintain the technical know-how and state-of-the-art equipment to get the job done right. Discerning clients with the highest standards can trust the specialists at Magic One Services to provide top quality carpet cleaning and maintenance services with meticulous attention to detail that yields an outstanding finished result. The company commits to the highest level of satisfaction and quality by maintaining the proper licensure, bonding, and insurance to execute services in the safest, most efficient manner. Manny's Floor Care has been specializing in all phases of home and office cleaning since they opened in New Orleans, LA, in 1969. Owner and operator Manny Vega takes pride in being a locally owned establishment in the greater metropolitan region, and has maintained that local presence for over forty-five years as the company has branched into commercial and residential services. Licensed and insured in a variety of flooring projects, Manny's Floor Care emphasizes customer satisfaction from start to finish. The company places a focus on carpet, upholstery, and tile cleaning, as well as the wide array of hard surface flooring options that need routine maintenance. New Orleans Damage Restoration emphasizes being the preeminent water damage recovery expert in metropolitan New Orleans, LA, area. They are highly trained, professional, and experienced concerning water damage and flooding, specifically to any damage and concerns toward carpet and furniture. Their core belief and their philosophy are to minimize the impact upon their clients in all respects, especially about a customer's time and the time the home or work area they work upon is occupied and out of use. They also are experts in tile and grout cleaning, rectifying floor damage, and vacuuming air ducts and vents. Free estimates are available upfront for all customers, and they are available 24-hours a day. Pittman Cleaning and Restoration has provided residential and commercial cleaning services to the Metairie, Louisiana area since 2001. Their specialist's clean carpets and rugs, upholstery and drapery, tile and grout, air ducts, and they offer 24-hour water damage restoration. All products used are safe for family, pets, and employees, and all of Pittman’s Cleaning and Restoration technicians are IICRC certified. Their services will not only clean homes and office spaces, but automobiles, boats, and RVs as well. Customers describe Pittman Cleaning and Restoration as professional, friendly, and knowledgeable and appreciate their prompt service. Prestige Carpet Cleaners & Janitorial Services is a cleaning company located in New Orleans, LA that provides guaranteed quality cleaning services to a variety of clients and industries in the New Orleans and Baton Rouge, Louisiana and Houston, Texas metropolitan areas. They offer a broad range of services, including carpet cleaning, home organization, residential cleaning, and commercial cleaning, among many others. They also offer window cleaning, deep house cleaning, and office services, ensuring quality workmanship every time. Prestige Carpet Cleaners & Janitorial Services provides a thorough clean in every corner of the property, leaving it spotless. Their cleaning process includes assessment of the area that needs to be cleaned, furniture removal, and thorough cleaning and junk removal services. Pro Clean is a professional cleaning service located in and servicing New Orleans, Louisiana. Pro Clean offers a variety of services for cleaning carpets and other home appliances to ease the burden of homeowners. In addition to carpet and upholstery steam cleaning, Pro Clean offers window cleaning, gutter cleaning, pressure washing, air duct cleaning, tile or grout cleaning, along with dryer vent cleaning. Having been in business for 15 years, Pro Clean is experienced with handling cleaning complications such as pet odor removal from carpets, fine rug cleaning, hypoallergenic carpet product integration, and scent free cleaning. Pro Clean offers a variety of coupons on its website, ranging from deals on multiple rooms to stain removal services. Superior Floor Care and Restoration is locally owned and operated in New Orleans, Louisiana. They are in the business of offering high-quality carpet cleaning and floor care services. All products used by the team of professionals are environmentally friendly, and their primary focus is providing customers with outstanding services at affordable prices. Superior Floor Care and Restoration has earned a 5-star rating on Thumbtack and past customers have experienced their commitment to delivering outstanding and lasting results. Superior Floor Care and Restoration is fully licensed, bonded, and insured. The experts offer a wide variety of services including carpet cleaning, rug cleaning, upholstery cleaning, tile and grout cleaning, and floor waxing and buffing. All services are available to both residential and commercial customers.